Have you ever bought an item, opened the package, and found the product wasn’t anything at all like how it was advertised? Imagine the initial disappointment in the investment and your fury at the supplier. Then, consider the lingering feeling of helplessness that takes over since you agreed to purchase the item ‘as is’ and can’t return it for the refund that you know you deserve. This is exactly how some jaded home buyers feel after they’re ‘stuck’ with a residence that had more flaws than they’d bargained for at the time of purchase. 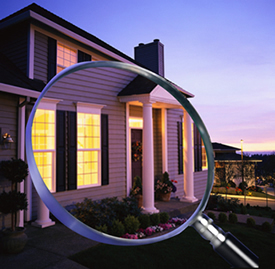 As recent news findings suggest, getting a professional home inspection is extremely important and may benefit overzealous buyers more than sellers of properties. In this case, the procedure will at least help prospective homeowners know what they’re getting into before it’s too late. The nail-biting, nerve-racking process of buying a home is already stressful enough without misleading analyses adding fuel to the fire. When it comes to investing in something so huge, the last thing buyers need is to be left in the dark about faulty components or potential hazards that could wreak havoc later on. High-quality property inspections performed by skilled professionals can take away unnecessary grief and keep sellers from being let off the hook for false representation or omission of all details. Remember, it’s not necessarily the seller’s job to get the laundry list of repairs after the inspection, though. Don’t expect an inspector to transform into an enforcer that has the authority to make sellers invest in fixes, as they’re only responsible utilizing property inspection apps to give you the truth about the house’s current conditions. After the inspection, you have the right to turn down the property in question if the seller decides they’re not going to make any changes, or you can go along with the agreement and address any of the house’s problems on your own. This should come as no surprise, but sellers shouldn’t take on the burden of advertising a house for sale in ‘as-is’ condition. It’s obvious that this approach is an immediate turn-off to potential home buyers. However, that also doesn’t mean that it’s always in your best interest to fix everything deemed wrong with the house you’re selling. In these cases, properly wording your intentions after an inspection is the most significant part of your role in the process. If a property inspection report’s should work against you, in terms of listing all the erroneous components in your house, you can always let potential buyers know that you’re limited in fixing whatever the evaluation confirms as defective. This indicates your honesty, and home purchasers might be more willing to compromise. For property inspectors, the meaning of all this is simple: keep doing exactly what you’re doing. As a professional who assesses the overall state of homes for a living, you need to feel comfortable and confident in your role as the unbiased third party in the situation. It’s your duty to make use of the best tools to help you get the most accurate results, such as property inspection apps, and then deliver the information to your clients which helps them address matters as they desire.